In my opinion,Dr Goh Keng Swee contributed more to Singapore's success.In fact,what we take for granted is what he painstakingly built.He had a part in setting up NTUC Fairprice,the place we shop for groceries.He also developed the Jurong Birdpark.a tourist attraction that I have been visiting since young.He also introduced effective plans that we still benefit today.He helped built up our financial strength and make us an important financial hub.Overall I feel that Dr Goh Keng Swee is the master builder of many things,from small things like affordable foodstuff for all to the economy that allow Singapore to prosper. 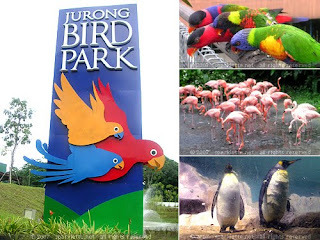 A picture of Dr Goh Keng Swee. 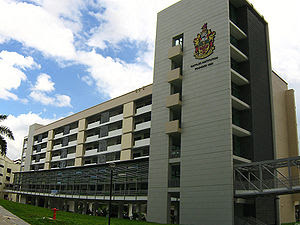 The S Rajaratnam School of International Studies at Nanyang Technological University. 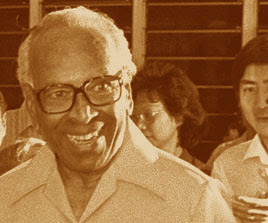 A photo of the late Mr S Rajaratnam,taken from NLB website. Dr Goh Keng Swee whose christian name was Robert was born in Malacca into a middle income Peranakan family on 6 October 1918.His father was Goh Leng Inn and his mother was Tan Swee Eng.When he was two years old,his family relocated to Singapore.He first studied at the Anglo-Chinese School from 1927 to 1936 and later Raffles College.His results for the Senior Cambridge Examinations was second in class and graduated from Raffles College with a Class 2 Diploma in Arts and a special distinction in economics.After his graduation,he joined the colonial civil service as a tax collector with the War Tax Department.Shortly after the start of World War 2,he joined the Singapore Volunteer Corps.Dr Goh Keng Swee married his colleague Alice Woon in 1942 and his only child Goh Kian Chee was born two years later.In 1945,he relocated his family to Malacca but returned to Singapore a year later.That year he joined the Department of Social Welfare and was active in post-war administration.He became the supervisor of the Department's Research section.He rejoined the civil service in 1946 and his outstanding performance scored him a scholarship to further his studies at the London School of Economics(LSE).During his time in London,he met fellow students seeking independence for British Malaya.They included Abdul Razak(later Malaysia's second Prime Minister),Maurice Baker(who became Singapore's High Commissioner to Malaysia),Lee Kuan Yew and Toh Chin Chye.An anti-colonial political group,the Malayan Forum,was formed in 1948 with him as the founding chairman.In 1951,he graduated with First Class Honour in Economics and was awarded the William Farr Prize for achieving the highest marks in statistics.Upon his return to the Department of Social Welfare,he was appointed assistant secretary of the Research Section.In 1952,he formed the Council of Joint Action with fellow civil servant Kenneth M. Byrne(later became independent Singapore's first Minster for Labour and Law)to protest against salary and promotion policies that favoured Caucasians over Asians.In 1954,he returned to LSE for doctoral studies with the aid of a University of London Scholarship. he completed his PHD in Economics in 1956 and returned to serve Assistant Director in the Department of Social Welfare and went on to become director.In 1958,he was made Director of the Social And Economic Research Division in the Chief Minister's Office.He resigned on August 1959 to work full time for the People's Action Party(PAP).A year later,he contested the general elections as a PAP candidate.He won the Kreta Ayer seat and represented the constituency in the legislative assembly and later the parliament of Singapore until his retirement from politics.He served as Minister of finance from 5 June 1959 to 8 August 1965.During his term,working with a budget of $14 million he introduce stringent mead=sures such as reducing the pay of civil servants.As a result,the Government was able to rake in a profit of $1 million.He also initiated the setting up of the Economic Development Board(EBD) to attract foreign multinational companies to invest in Singapore.He also transformed Jurong from a swampy waste land to Singapore first industrial estate.He also offered incentives to attract foreign investments.In addition,he served as Minister of Interior and Defence from 24 Sep 1965 to 16 Aug 1967.Following the pulling out of the British troops,he realised an urgent need to set up a defence force and implemented compulsory National Service for all Singaporean males aged 18 years old.He also served as the Minister of Education from 12 February 1979 to 31 May 1980.During his term,he found that curriculum development's importance and that led to the setting up of the Curriculum Development Institute.He also introduced streaming to help students learn better at their own pace.He had initiated many more then those mentioned above.In recognition of his efforts,he was awarded many awards such as the Order of Temasek(First Class) and the Order of Sikatuna.